Packed with flavour. 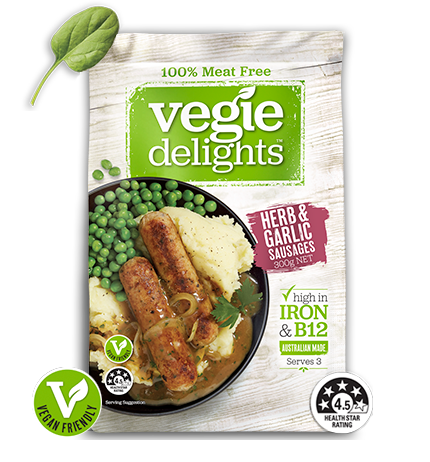 Enjoy these Aussie-made vegan-friendly sausages with a side salad or with a side of roast vegetables. Pan Fry: Cook from frozen. Shallow-fry in pan with a little cooking oil on medium heat for 18-22 mins, turning regularly until all sides are evenly browned and thoroughly cooked. Made in Australia from at least 64% Australian ingredients.